A number of people recommend the Spektrum DX6i transmitter for use with tricopters. It appears to go for around $110 shipped and, as the name implies, has 6 channels. 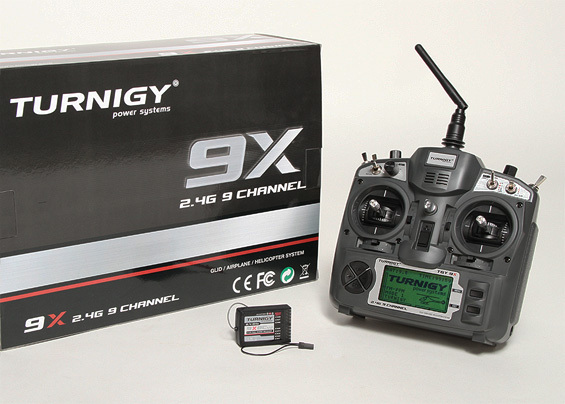 Hobby King also provides a newer Turnigy 9xr. This model aesthetically didn’t appeal to me as much. Apparently it also has less internal space for putting in mods and isn’t quite as ergonomic.